Gold Coast has some of the whitest, sandiest beaches ever witnessed; breath-taking in their splendour and an irresistible temptation for any surfer or beach lover. Its turquoise blue sea water seeming to meet and mix with the sky on the horizon, where it becomes unclear what ends where. Gold Coast is a city favoured by tourists and is the destination of choice for those touring Queensland; especially for its sunny climate, those perfect surfing beaches, the vibrant theme parks and the immense rainforest. It also offers the visitor a great skyline with some of the tallest buildings in the world. It is no wonder that Gold Coast has a lion’s share of the tourist industry in Australia to enable Gold Coast to generate in excess of two billion dollars in revenue per year. Owning commercial property in such a desirable city is a pleasure that most cannot afford and those who can should take advantage. There are commercial properties for sale in Gold Coast for exceptional prices and in perfect locations from your trusted Commercial Property selling company, CommercialProperty2Sell. As the 2018 Commonwealth Games draw nearer, there will be a chance for even greater growth brought about by the Commonwealth heritage and you should grab the opportunity. Gold Coast has some of the lowest commercial property prices in the country, buyers ought to buy now, not only for the prices, but because it is a current hub of activity getting better. The population will always keep the demand for commercial property up. Cbd Development Site. Must Be Sold. Must Be Sold! Motivated vendors with very clear instructions creates an opportunity not to be missed. Ideally located between the Broadwater and the CBD and surrounded by major developments completed or underway, the appeal of this site is obvious with every convenience at the door. Development Potential Zone: PDA Precinct 3 Height: Build up to 32 metres in height Product: 30 40 2BR units or mixed use (STCA) An information Memorandum is available on request to the exclusive agent. For Chinese Buyers #20013;#22269;#20080;#23478; #32593;#31449;#38142;#25509; http://www.acproperty.com.au/Queensland/Info/HouseInfo.aspx?id=20190129152525Dmenuid=1 Please contact the exclusive listing agent for more details. Disclaimer: Ray White has not independently checked any of the information we merely pass on. We make no comment on and give no warranty as to the accuracy of the information contained in this document which does not constitute all or any part of any offer or contract by the recipient. Prospective purchasers / lessees must rely on their own enquiries and should satisfy themselves as to the truth or accuracy of all information given by their own inspections, searches, inquiries, advices or as is otherwise necessary. No duty of care is assumed by Orchid Avenue Realty trading as Ray White Surfers Paradise Commercial divisions toward the recipient with regard to the use of this information and all information given is given without responsibility. Net Income $36,000.00 p.a. + GST + Outgoings. 3 year lease If you're after a solid investment in Commercial property, look no further than this warehouse in one of Southport's most popular trade centres. This is an easy 'set and forget' for SMSF Super Fund Investors. 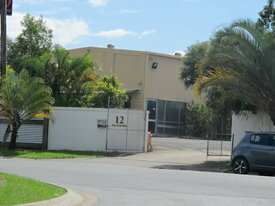 Featuring: Great location, solid tenant (same business for 30 years) $3,000 NET rent per month (tenant pays all outgoings) Very popular business/trade centre 3 Phase Power 5 metre high roller door (front and rear, inline) 6.8 metre high ceiling throughout Solid mezzanine of 50m² whole length of building (with good height) Very presentable a/c front office/ reception Industrial air con installed for warehouse (cost $40,000 ) Amenities with separate shower/toilet Exclusive use rear courtyard, in addition to NLA Approximately Please contact exclusive listing agent above for more information or to register for the Auction. Disclaimer: Ray White has not independently checked any of the information we merely pass on. We make no comment on and give no warranty as to the accuracy of the information contained in this document which does not constitute all or any part of any offer or contract by the recipient. Prospective purchasers / lessees must rely on their own enquiries and should satisfy themselves as to the truth or accuracy of all information given by their own inspections, searches, inquiries, advices or as is otherwise necessary. No duty of care is assumed by Orchid Avenue Realty trading as Ray White Surfers Paradise Commercial divisions toward the recipient with regard to the use of this information and all information given is given without responsibility. 65 Price Street is located on a major arterial road, directly adjacent from a busy neighbourhood centre "Earle Plaza", the Nerang Public Library and multiple Government agencies including Centrelink. This site presents an opportunity for a potential mix of uses that may incorporate commercial or residential development. Our vendor is extremely motivated and committed elsewhere. We have clear instructions to sell this incredible asset on or before Auction. Site area 713m2 Strong holding income Located on busy Price Street Residential development plan in place Exposed to Thousands of cars every day Incredible access to the M1 Pacific Motorway Motivated vendor will consider all offers Don't miss this rare and outstanding opportunity! Exposure to surrounding major retailers such as Earle Plaza, NAB, 7 Eleven, Nerang RSL and multiple Government Agencies For all enquiries contact the exclusive marketing agents Tony Grbcic on 0404 087 772 of Ray White Broadbeach or Jared Johnson on 0423 386 939, Lachlan Marshall on 0426 259 799 of Ray White Commercial Gold Coast. Approximately This property is being sold by auction or without a price and therefore a price guide can not be provided. The website may have filtered the property into a price bracket for website functionality purposes. Disclaimer: Ray White has not independently checked any of the information we merely pass on. We make no comment on and give no warranty as to the accuracy of the information contained in this document which does not constitute all or any part of any offer or contract by the recipient. Prospective purchasers / lessees must rely on their own enquiries and should satisfy themselves as to the truth or accuracy of all information given by their own inspections, searches, inquiries, advices or as is otherwise necessary. No duty of care is assumed by Orchid Avenue Realty trading as Ray White Surfers Paradise Commercial divisions toward the recipient with regard to the use of this information and all information given is given without responsibility. The Jared Johnson Lachlan Marshall Team in conjunction with Adam Grbcic are proud to offer this exceptionally rare opportunity to purchase a quality freehold property in one of the tightest held Industrial Commercial precincts on the Gold Coast. 15 Jay Gee Court, Nerang is a practically designed, freestanding property strategically positioned within close proximity to both North South bound entry exit points to the M1 Pacific Motorway. Our vendor has committed to expanding and has purchased elsewhere. The instructions are clear the property must be sold! Land area 1,811m2 Net lettable area 600m2 + 120m2 mezzanine (load 1,000kg/m2 ) Air conditioned showroom 3 high clearance roller doors Low site coverage (circa 30%) Future development opportunity Full HD CCTV and LED security system Electric security gate 6.5 metre internal height Ample car parks (undercover) Surrounded by National and Multi national businesses within one of the Gold Coast's most tightly held Commercial Industrial estates Motivated vendor will consider all offers Don't miss this rare and outstanding opportunity! For all enquiries contact the exclusive marketing agents Jared Johnson on 0423 386 939, Lachlan Marshall on 0426 259 799 of Ray White Commercial Gold Coast, or Adam Grbcic on 0404 087 772 of Ray White Broadbeach. Approximately This property is being sold by auction or without a price and therefore a price guide can not be provided. The website may have filtered the property into a price bracket for website functionality purposes. Disclaimer: Ray White has not independently checked any of the information we merely pass on. We make no comment on and give no warranty as to the accuracy of the information contained in this document which does not constitute all or any part of any offer or contract by the recipient. Prospective purchasers / lessees must rely on their own enquiries and should satisfy themselves as to the truth or accuracy of all information given by their own inspections, searches, inquiries, advices or as is otherwise necessary. No duty of care is assumed by Orchid Avenue Realty trading as Ray White Surfers Paradise Commercial divisions toward the recipient with regard to the use of this information and all information given is given without responsibility. This freehold property on a 1,213sqm parcel of land in the heart of Southport CBD is an ideal location for any growing business. A very versatile building that can accommodate a huge range of options. With the foundations built to accommodate additional storeys, thereby adding instant upside for the purchaser, it is also within the Council Priority Development Area (PDA1) that allows for unrestricted development . Existing Configuration: Ground level (822m2 ): Including 25 secure undercover car parks Reception/showroom Storerooms/ workshop Amenities Level 1: (822m2 ): Open plan warehouse Two mezzanine levels of 70m2 each Corporate offices with boardroom Large staff/ lunch room Amenities A multitude of uses are possible here and only limited by your imagination . Medical Centre, Child Care Centre, Legal Chambers (metres from Southport Courthouse), Student/Training Facility, Corporate Head Office, Warehouse/Storage, Distribution Centre, Prestige Offices with Undercover Parking, Manufacturing, Wine Bar/Cellar, Funky Co working Space. Options are endless. Approx. Best value buying per sqm in Southport CBD. Utilise this prime easy to access space or develop. The choice is yours. Utilise the large warehouse/ workshop as is, or develop. Situated in the Gold Coast's special PDA Precinct 1 zoning means very flexible development options are available . Do not let this opportunity pass you by. The site is just a short walk to Australia Fair shopping precinct, China Town, Broadwater Parklands and the Tram line. Inspections and further information can be obtained by contacting STEVE MAHER on 0404 934 707. STCA Disclaimer: Ray White has not independently checked any of the information we merely pass on. We make no comment on and give no warranty as to the accuracy of the information contained in this document which does not constitute all or any part of any offer or contract by the recipient. Prospective purchasers / lessees must rely on their own enquiries and should satisfy themselves as to the truth or accuracy of all information given by their own inspections, searches, inquiries, advices or as is otherwise necessary. No duty of care is assumed by Orchid Avenue Realty trading as Ray White Surfers Paradise Commercial divisions toward the recipient with regard to the use of this information and all information given is given without responsibility. Well configured site with highly favourable Town Planning parameters. Good holding income while you run the application process. Site area 810m2 Density: RD7  1 bedroom per 25m2 of Net Site Area Height restriction: 39metres 20m Sixth Avenue frontage Some holding income Local area experiencing frenetic rejuvenation Opportunity to coincide potential development with increasing demand Strong café/restaurant culture in the immediate vicinity plus a high rate of redevelopment and refurbishments currently underway. Well serviced location with ease of access to arterial Gold Coast Highway and Pacific M1 Motorway. Primary and secondary schools + John Flynn Hospital, Gold Coast Airport and Southern Cross University all in close proximity. All enquiries encouraged and for additional information please contact our marketing agents Greg Watson Tanaka Jabangwe. Situated on Ern Harley Drive, this property offers clean open plan warehouse space which would suit an array of businesses looking for a mix of showroom, storage and professional office space. Total Area: 535m2 Storage Mezzanines First Floor Offices Fully Air conditioned Warehouse Full Security System installed Fluorescent Lighting throughout The list of features on this property just keeps going. The property has a short term lease, therefore a incoming owner occupier or investor has the benefit of income until early 2017. The tenant has moved out, therefore the property can be sold as Vacant Possession if need be. The Property is for sale by interstate owner, instructions are to bring all offers! For more information please contact Ray White Commercial GC South Principal, Jared Hodge. Capri on Via Roma is an inspired waterfront location for a new type of shopping experience. Located on the canals of Isle of Capri, one of the Gold Coast's most central locations, Capri on Via Roma offers a unique retail destination with fresh food, fashion and everyday convenience in a relaxed waterfront neighborhood. The retail mix will include approximately 40 specialist retail businesses including restaurants, cafes, a fresh food market hall offering fresh produce and high quality food, a supermarket, as well as fashion, beauty and lifestyle boutiques. A further 23 commercial tenancies will be available for medical, legal and other professional service providers. Parking will be a breeze with just over 260 parking bays available including basement parking and safe undercover access to the shops. Capri presents an amazing opportunity for a retailer to locate into one of the Gold Coast's most central neighborhoods that is only a short walk from the heart of Surfers Paradise. The centre has been crafted by a internationally recognized team who have created a compelling retail destination that possess unrivaled customer convenience and significant sales potential for its astute resident retailers. Stage One of the major development upgrade of the Capri on Via Roma retail and commercial precinct is NOW OPEN. So far the development has involved a major upgrade to the existing three level building fronting Via Roma and the connecting car park, which also includes a new foyer to the office levels and new landscape surroundings. Work has commenced on the final stage of Capri on Via Roma. Weather permitting; works should be completed October 2013. With stage ONE completed in a timely manner, we have been looking forward to kicking off this stage. This final stage includes the main hall that fronts the canal, and houses the supermarket, specialty food retailers and restaurants. This stage also includes the building fronting Via Roma that will house restaurants, cafes and specialty retailers. Strong Freehold Holding mid $700,000 sale by nego.. Located within the Brickworks Annex, which is directly adjacent to the Ferry Road Markets, here lies an opportunity to purchase a secure investment. Tenanted by a long term, well established and reputable company this property offers a Net Income of Approximately $73,000 over a net lettable area of 299m2. For more information on this property please contact Tony Grbcic. Absolutely prime exposure for your business! This property ticks all the boxes: Exposure to Ferry Road Easy Access Plenty Car Parking Massive signage rights Space Available from 350m2 to 720m2 Please contact our office for more information! This property offers a diverse investment opportunity. Situated in Southport, only 300 metres from the CBD and within immediate proximity to the new Light Rail System. The property comprises a retail shop with high traffic exposure, currently occupied by a cafe on a 3 year lease. 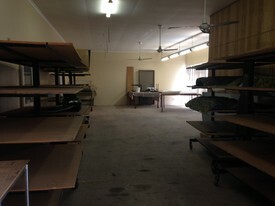 To the rear, the property has 6 commercial offices which are fully occupied. The completion of the Light Rail System will ensure high occupancy and growth in the rents. Overall the property has a Net Income of approximately $120,000 per annum Please contact our office for more information on the property.